I have been making games in my spare time for the past couple years. I worked on a few projects but it seemed like I was never going to finish anything. Then I came across the idea for a party game and actually published it. Some things turned out to be easy, others, not so much. Here are the 5 steps I went through to make CPAH. Some of the best app ideas are born while in an intoxicated state. Especially ones that are meant to be played in that state. Whether I came up with the idea after a few beers is besides the point. I am constantly thinking of game ideas. When I think of something good I write it down. CPAH was no different. I started making CPAH while on a ski trip in Lake Tahoe. My friends and I were playing a generic catch phrase drinking game: pass the phone after each correctly guessed phrase, after the time is up, the person holding the phone takes a drink. After multiple rounds of skipping over phrases that my grandmother uses, someone piped in: "I wish these phrases were better". After that, all I could think about was that I could actually make an app with better phrases. I had my idea. I wrote it down and got started. By "hustle", I mean I did everything in my power to make this game a reality. So how did I find time to publish a game with a full time job? I used my spare time. Instead of chillin at home watching Netflix, I was coding. Instead of scrolling through my Facebook feed on the train, I was making a website. I am now in a routine that helps me follow through on my side projects. Again, I chose a simple game to make so that I could go from idea to release as fast as possible. A quick prototype took only a couple hours in Unity. Fine tuning, adding features, making a website, marketing, and everything else up to releasing the game took 2 months. At an average of 5 hours per day, that’s 300 hours. The equivalent of 38 regular 8 hour work days. Unity was my game engine of choice because you only have to write code once and it works on both iOS and Android. I had already started a few projects using Unity before, and this allowed me to get a running start with this game. GIMP was my equivalent of Photoshop. It’s free, and does all the basics of image editing. I built my website with Squarespace. A lot of people would recommend Wordpress but I was going for simple and fast with an easy learning curve. User feedback is essential, especially for a game that is meant to be played with people. These awesome supporters were my beta testers. I would get my friends drunk and then ask them ideas for phrases. The final phrases are a curated list of ideas from my friends and myself. You have no idea how many hours I spent just thinking of phrases. Even now I still come up with phrases and think "how have I not thought of that one yet?" I want to emphasize again how important writing down your ideas is. I made sure to always write down the ideas in my phone otherwise I’d forget it a few minutes later. Whether they were phrases, design aesthetics, game play modes, I wrote down everything. I would then go through these notes later and pick out the ones I liked the most. I tried to make the game as easy to play as possible. It helps that Catch Phrase is already an established game. The app just had to convey that to the users. Are people confused by the user interface? What is the ideal group size to play this game? Are there stopping points that are keeping people from playing? Are people laughing and enjoying themselves? I played my first beta with people at pregames, parties, hangouts, road trips, and even bars. Everyone loved playing the game. It was great hearing about friends enjoying the game even when I was not there. Friends planned to just try it out, but an hour later they were dying of laughter, completely hooked. It was great hearing this kind of feedback. However, even better was constructive criticism. Of course my friends were going to be nice to me about my app, but the most valuable feedback was about the parts people didn't like. I even held a release party where we played the game. I set up a whiteboard where people could write down ideas. All this testing helped me fine tune the game to where it is today. This was a brutal step. I had a great game that my friends enjoyed and I finally released it on the app store. But I didn’t become a millionaire overnight like I had predicted. A good app and lots of friends only got me so far. If people don't know about the app, it won't become a successful game. The problem is getting the app to people outside of my friends list. The standard approach is making a Facebook page, Twitter account, and website. This all helps, but how are people hearing about these resources? I tried posting to various subreddits, Facebook groups, and even reached out to indie game websites. Unfortunately, nothing caught on. Party apps are fighting an uphill marketing battle. Most games can be directed at an individual in a way that party games cannot. 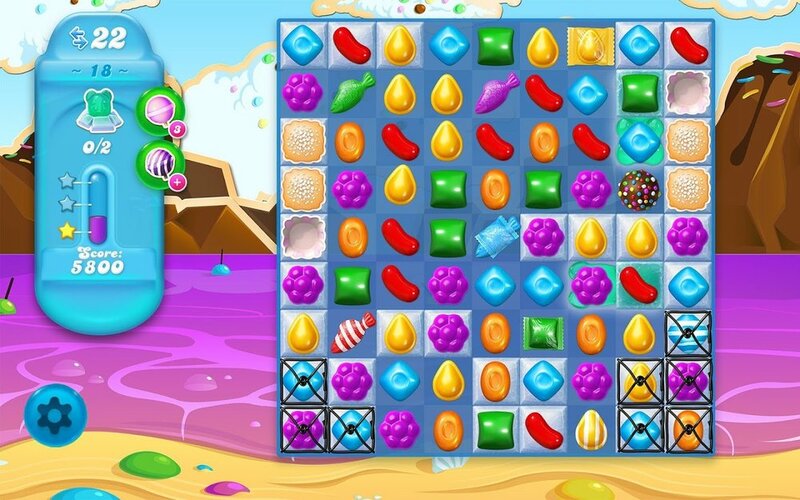 Think of the relation to a standard game like Candy Crush. The one advantage is word of mouth. The game has to be played with other people. This is good and bad. It creates a higher barrier to entry, but also means the game can spread from one person to another very easily. Unfortunately, going viral online spreads faster than people these days. What have I learned? It's hard af to make a successful party app. Most likely none of those will happen. Writing. You need to write to sell and you need to write for content. This post is a first shot at the latter. The more readers you get, the more awareness to your brand, the more potential users of your app. Writing to sell is convincing people to download and play your app. This type of writing should exist on a website and be available when reaching out to the press. I have read several books on writing, including Everybody Writes by Ann Handley and The Ultimate Sales Letter by Dan Kennedy. My plan is to continue working on this lofty dream of becoming a full time game developer. I now have the experience needed to do things more efficiently, I have clear goals for the next game, and I have the routine set in place make this a reality. I will keep supporting CPAH while I work on my next project, but this time I won’t do a party app. If there is anything I have learned from this process it’s that patience and perseverance will get you results. There is no get rich quick scheme to becoming a successful app developer and you won’t be successful with your first game. Learn, iterate, and improve. At least, that’s what I’m going to do. What the hell is Catch Phrase Against Humanity? It's a free party game! Find a time when you are casually drinking with a few friends and give it a shot. I promise you won't be disappointed.